With the Duckie Derby fast approaching, large ducks are available for the event's duck-decorating contest. The small duck is a replica of racing ducks, and each race-ticket holder will get one. Fairfield is getting its ducks in a row for the Fairfield County Duckie Derby on May 21. The fundraiser benefits special-needs children and is planned on the banks of the Mill River along Brookside Drive in the town's Springer Glen open space. The event includes rubber-duck-decorating contests for three age groups and a half-mile rubber-duck race down the Mill River. Proceeds benefit St. Catherine's Academy, the Fairfield school for special-needs children. The Bank of Fairfield, the derby's chief sponsor, is selling 10-inch decorator ducks and tickets to sponsor 2-inch racing ducks. Both are available at the banks branches at 2150 Post Road and 2248 Black Rock Turnpike. Decorator ducks cost $15. Decorating contests include a 10-and-under division, 11-and-over division and a category for groups such as clubs, scouts, sports teams and businesses. Ribbons will be awarded for best dressed, most original, judges' choice and best in show, organizers said. Tickets to sponsor race ducks are $10 each. Each race ticket bears a number that corresponds to the number on a weighted, water-tight, 2-inch racing duck. Ducks will be released simultaneously into the Mill River and collected at the finish line, organizers said. Trophies will be awarded to the ticket holders for the first-, second- and third-place finishers, organizers said. 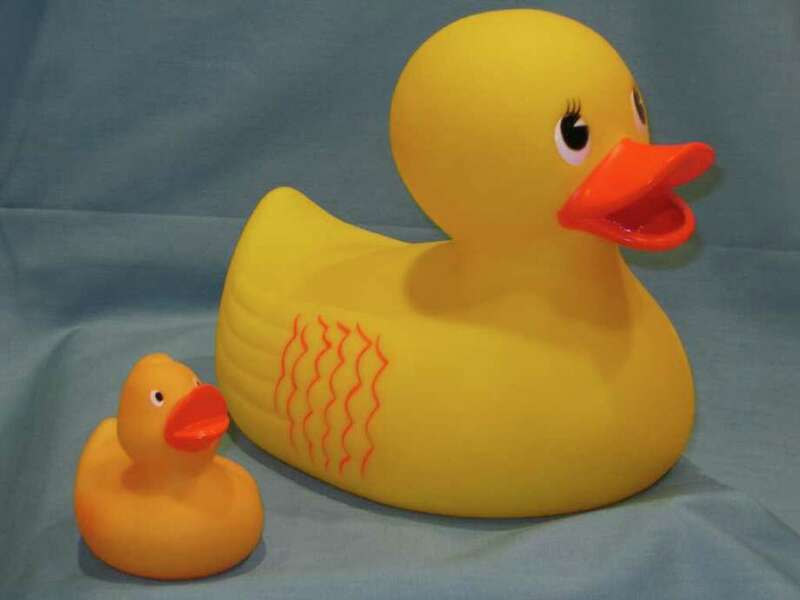 Each race ticket holder will receive a rubber duck. Activities begin at 1 p.m. Parking will be available at 834 Brookside Drive, organizers said. The beneficiary of the Duckie Derbie, St. Catherine's Academy, provides programs for students ages 5 to 21 with multiple disabilities, including intellectual and other developmental disorders. Operated by the Roman Catholic Diocese of Bridgeport, St. Catherine's admits students of all faiths and is approved by the state. For more information, visit: http://fairfieldcountyduckiederby.com.